I don't do much astrophotography, but on special nights, like the full moon rising, I can't resist dragging a camera to the Bird's Nest Lookout over Machtesh Ramon near where we live. I did this last night, and here are the results. This female Ibex posed rock steady on a wall as I walked toward the edge of Machtesh Ramon (Ramon Crater) The Ibex frequently hang out near the crater's edge as they will descend the walls at sunset to sleep.. Same female Ibex. She gave me a nice long pose. Ibex nose close-up. I never realized how much overbite they have. Hurrying to the Birds' Nest I took time out to snap Har Gamal (Camel Mountain) in the west with the setting sun. After the sun set, I took a few practice shots of Har Ardon, many miles away at the apex of the Machtesh's atrium wall. The moon was late in rising, due to the low clouds at the horizon. Scheduled to rise at 5:00pm, I didn't sight it until 5:15pm. when this photo and the subsequent ones were taken. The moon continues to rise into the gathering gloaming. Finally, a photo of Machtesh Ramon near sunset, the day before, December 16. 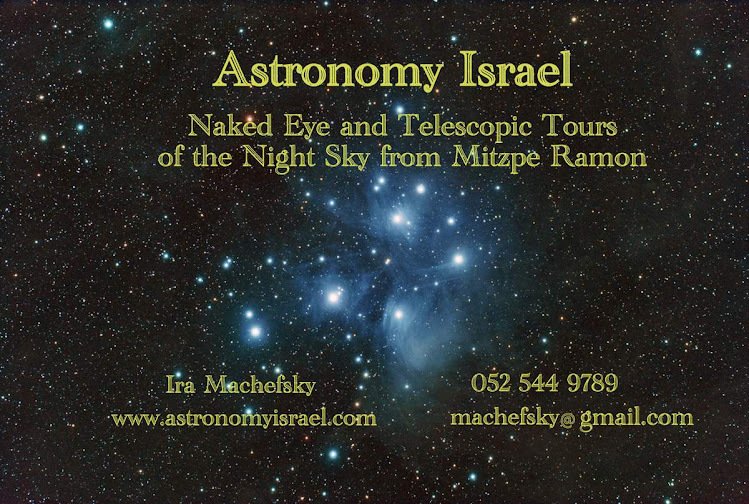 Tonight: The Rise of the 2013 "Mini-Moon"
Ira Machefsky, The Starman of Mitzpe Ramon; Over 50 years of astronomy experience. Offering nightly astronomy tours in Israel for beginner to advanced amateur. No background in astronomy required. Go star gazing in Mitzpe Ramon -- the clearest, darkest skies in the country. Home of Israel's largest research telescope at the Wise Observatory. Not just a tour, it's the Astronomy Israel Adventure! Brainiac says, "Come star gazing with us!" "The world is not only stranger than you think it is, it's stranger than you can think it is." "Two things cause wonder and awe the more often we contemplate them, the starry sky above us and the moral law within us." This work by Ira Machefsky is licensed under a Creative Commons Attribution-NonCommercial-NoDerivs 3.0 Unported License. Based on a work at astronomyisrael.blogspot.com. The number of clear nights (zero cloudiness) is about 170 a year. The number of useful nights is about 240. The best season, when practically no clouds are observed, is June to August, while the highest chance for clouds are in the period January to April. Winds are usually moderate mainly from North-East and North. Storm wind velocities (greater than 40 km/h) occur, but rarely. The wind speed tends to decrease during the night. Temperature gradients are small and fairly moderate. The average relative humidity is quite high with a tendency to decline during the night from April to August. 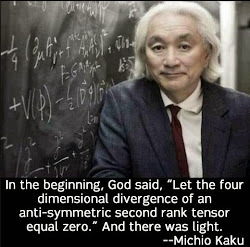 The average seeing is about 2-3 seconds of arc. A few good nights have seeing of 1" or less while some show seeing larger than 5".